What is The Great Migration of wildebeest in East Africa and why does it happen? We have created a list of ten things you might not have known about this natural wonder of the world that occurs annually. 1. This is the largest migration in the world and boasts 2 million mammals! 2. 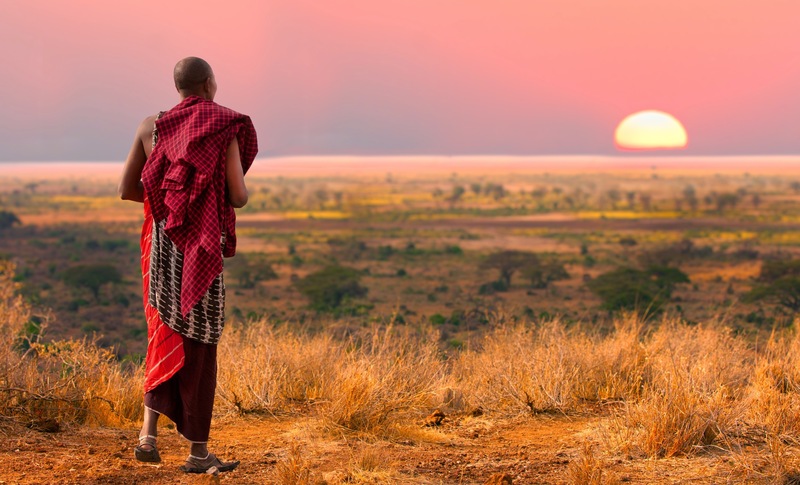 The local Masai people have coexisted for hundreds of years with the migrating wildebeests, and just like their cattle, they are regarded as the wealth of the Maasai. 3. Using the term migration to describe the movement of wildebeests can be deceptive as in actuality there is no “migration” as there is no start nor end point in their endless search for food and water. These mammals require water daily. 4. There is little predictability in the actual route of the migration and although general patterns can be devised, their actual route differs from year to year. Wildebeests have glands in their hooves that leave scent trails in order for other wildebeests to follow them as they migrate. 5. Wildebeest are also called Gnu because of the continual grunts they make which sound like “gnu” “gnu”. 6. An estimated 400,000 wildebeests are born each year during the calving season in the Southern Serengeti. 7. Out of the 1.2 million wildebeest who make the migration, around 250,000 perish due to starvation, thirst, exhaustion and at the hands of predators. 8. Wildebeest are born to run. They can run alongside their mothers just minutes after they are born and can run up to 40 miles per hour. 9. Wildebeests and Zebras find comfort in migrating as a group in protection from predators and graze in harmony because each animal prefers a different part of the same grass. 10. Wildebeest are the preferred prey of lions, spotted hyenas, leopards, crocodiles and even cheetahs. 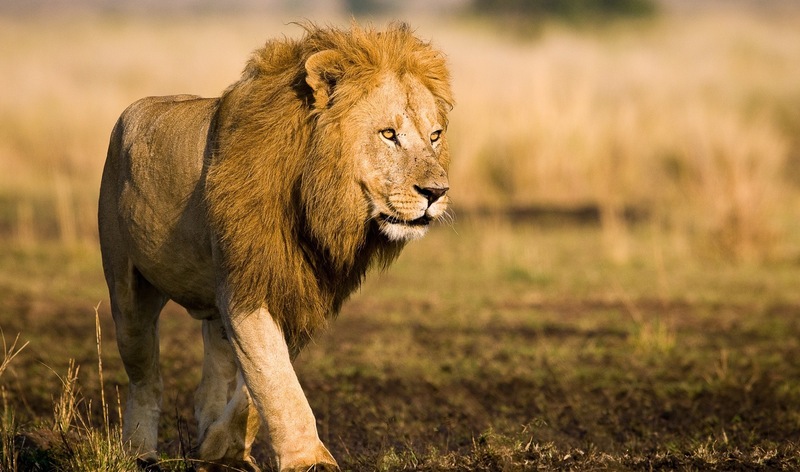 An adult lion can consume one fifth of an average-sized wildebeest (200 kg) in one sitting!